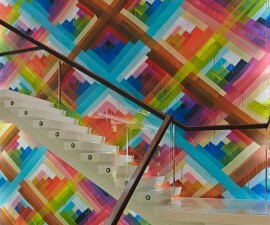 Color wall 4 is the The latest in a series of Art & Architecture collaborations conducted by CARBONDALE with their unique approach of coalescing artistic ideas with the architectural concepts to create an amalgamation with the brand image and a cohesive customer experience. 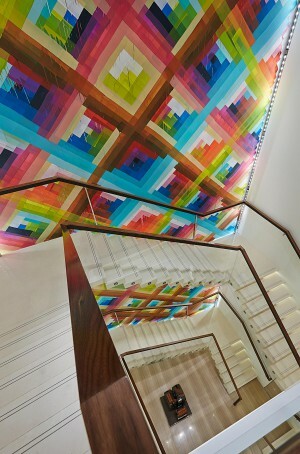 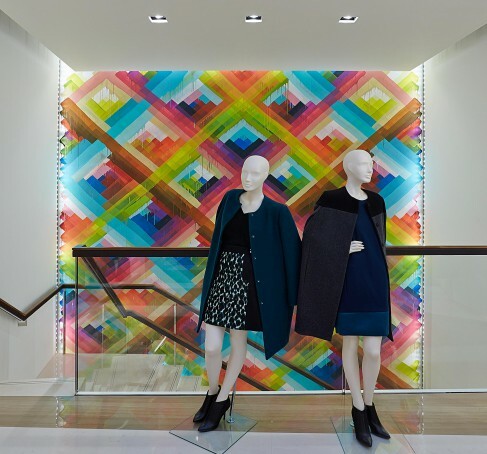 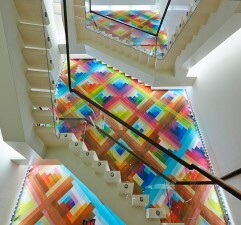 For the London, New Bond street project Eric Carlson worked with the New York based Artist Maya Hayuk to create a 12-meter high by 5-meter wide monumental kaleidoscope of diagonal layers of colors. 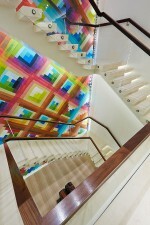 Integrated within the Longchamp store, the mural remains distinctive as a work of art yet integrates into the spatial experience of each of the 3-levels from near and far while discreetly referencing both the color spectrum of the colorful “pliage bags” and Longchamp’s traditional “LM” crisscross motif.